Familiar headlines dominate the news: US newsprint tariffs are opposed by US politicians; the National Association of Home Builders raises tariff concerns as housing starts fall; and US lumber production is up. In related news: communities on both sides of the Maine-Canadian border are increasingly concerned about the tariff feud. In other headlines: smoke is causing air quality concerns in Ontario, Oregon and NZ have forest safety on their minds; the US has plans to end automatic protections for endangered species; biomass is cheered in Oregon but jeered in New Hampshire; and the Wolff/Katerra design-build combo has plans “to be prolific“. Finally; the ancient cedars of Lebanon—which have outlived empires and survived modern wars—may have met their match with Climate Change. 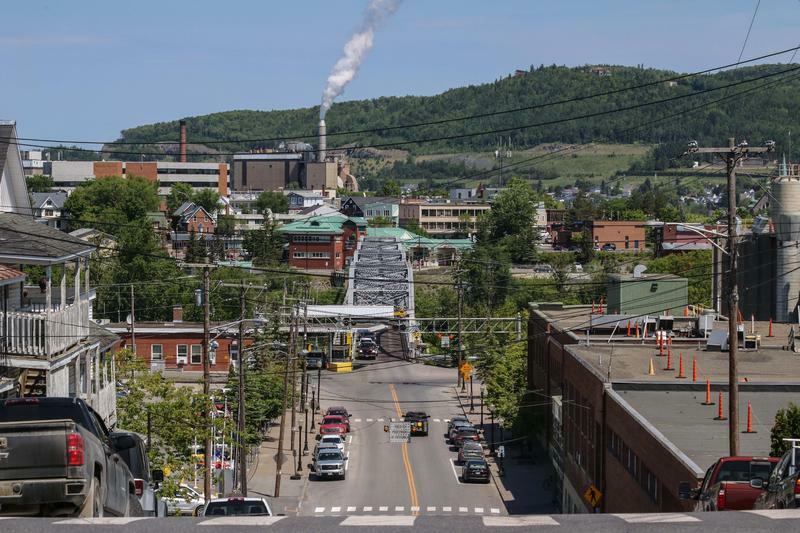 The feud over tariffs between President Trump and Canadian Prime Minister Justin Trudeau has rattled many towns along the border, but few are connected as tightly as Madawaska, Maine, and Edmundston, New Brunswick. This is where these linked mills make pulp and paper along the St. John River. With a trade war looming, people on both sides of that river are mystified by the deteriorating international ties. Standing here on the bank of the St. John River in Edmundston, New Brunswick, it’s easy to see the compact and the intertwined international relationship. …”The mill supports our local economy. It’s our largest employer, probably, on both sides of the border,” says Gary Picard, the town manager of Madawaska, Maine. …With the border feud escalating, many residents of these tight-knit communities have been taken aback. Congresswoman Cathy McMorris Rodgers spoke before the U.S. International Trade Commission on the impact that U.S. tariffs on Canadian newsprint have on small businesses and local newspapers. …Opponents of the tariffs have said by increasing the cost of newsprint would deal a major blow to local newspapers who already struggle to stay afloat. …“It’s technology, not unfair trade practices, that are challenging newspapers and newsprint production. Let’s not compound those challenges through misguided tariffs,” McMorris Rodgers said. “The demand for newsprint is in decline – down 75 percent since 2000. …The reality is that readers are switching from print to digital…” …North Pacific Paper Company said the tariffs have allowed them to re-hire American workers, but legislators said the cure is worse than the disease, they also cited the importance of independent journalism and the First Amendement’s freedom of the press. House Speaker on Wednesday appointed dozens of lawmakers to the farm bill conference committee after the chamber agreed to head to conference. The actions were among the last hurdles to formally kicking off negotiations between the House and Senate to reconcile their respective versions of the agriculture and nutrition measure. …Agriculture Secretary Sonny Perdue on Wednesday joined 14 members of the bipartisan House and Senate Working Forests Caucus to talk about innovations in wood products, and how to take them from the research lab to the marketplace… Perdue noted that the U.S. produces more wood than it knows what to do with, so new products are needed to whittle down supply. Cross-laminated timber, for example, makes it possible to build skyscrapers with high-tech, engineered mass timber, Gatto said. Total housing starts fell 12.3 percent in June to a seasonally adjusted annual rate of 1.17 million units, according to newly released data from the U.S. Department of Housing and Urban Development and the Commerce Department. The June reading of 1.17 million is the number of housing units builders would begin if they kept this pace for the next 12 months. Within this overall number, single-family starts fell 9.1 percent to 858,000 units. Meanwhile, the multifamily sector — which includes apartment buildings and condos — dropped 19.8 percent to 315,000. …“We have been warning the administration for months that the ongoing increases in lumber prices stemming from both the tariffs and profiteering this year are having a strong impact on builders’ ability to meet growing consumer demand,” said NAHB Chairman Randy Noel, a custom home builder from LaPlace, La. Will Strong Lumber Prices Bring a New Dawn for US Producers? In the last few months, lumber supply from Canada, United States’ biggest lumber provider, was shaken by a slew of factors like insect attack, forest fires and shortage of transportation. President Trump’s decision to impose a huge tariff on lumber imports from Canada hit lumber supply from that country further and cleared the path for local players. Declining supply boosted U.S. lumber prices, which have jumped more than 60% since the beginning of 2017. Despite, an increase in lumber prices, demand refuses to fall as evident from the fact that construction activity touched an all-time high in May and jobs data was encouraging. Also, homebuilder sentiment remained steady in July. U.S. lumber producers are evidently busy meeting the rising demand. In this context, Pleasant River Lumber’s co-president, Jason Brochu, said import duties on Canadian lumber serve as “a level playing field” for domestic players. In his dual role, Spokane’s Fritz Wolff could become a significant factor in addressing the Spokane area’s housing shortage. …The relationship between Katerra and Wolff Co. likely will be a prolific one, he asserts. “We’re planning to build a few thousand units in the Spokane-Coeur d’Alene area over the next few years,” Wolff says. “When the cross-laminated timber plant is up and running, we intend to integrate as much cross-laminated timber as possible in the projects that we have planned in the future.” …“Think of (Katerra) in the simplest terms as a design-build firm that provides all of the materials for a job, either makes them or buys them factory-direct or literally makes all the pieces and parts of a building and then integrates architecture and engineering, general, and all subcontracting together,” Wolff says. MIT Mass Timber Design, a cross-disciplinary design workshop at the Massachusetts Institute of Technology, have developed a building prototype that aims to tackle the world’s growing energy crisis… Extensively using the wood-based building design and construction technology mass timber …the project utilizes the “efficiency, speed, precision and versatility” of prefabricated timber construction elements to realize a multi-functional, sustainable building. …in adapting [longhouse] construction to face modern-day issues, the team hopes to create a space that “builds upon this rich cultural icon.” Longhouses …are long, narrow building, usually containing a single communal space used for civic or group activities. The challenge in construction is spanning such a large distance with little or no disruption within the space… The team’s design uses a series of timber laminated veneer lumber arches across the short section of the building to achieve this, with the arch’s thin-walled triangular profile providing optimum rigidity for the structure. 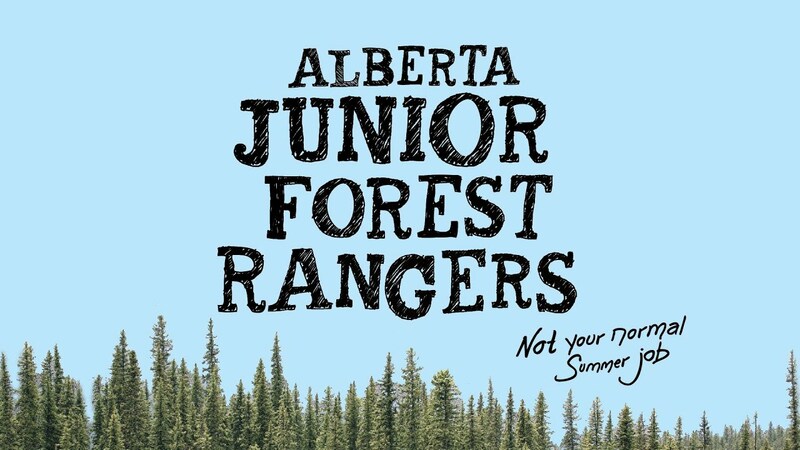 Stewardship, leadership, partnership and traditional ecological knowledge: those are the curriculum elements of the Junior Forest Rangers (JFR) program. A ten-member group is working on a variety of projects in the Peace River forest area. They returned recently from training in Hinton. Since 1965, JFR has offered young people from across the provinces the opportunity to get started in a career related to natural resource management and forestry. All JFR crews live on wildfire bases or in JFR camps for the duration of the seven-week program. Crew members and leaders stay with their crew 24 hours a day, seven days a week and complete a wide variety of work and educational projects based on natural resources. Little Mountain Park … in Salmon Arm, like neighbouring Crown land, is littered with deadfalls and a thick duff or forest debris layer. …“I am very concerned about the incredible amount of dead wood lying on the ground everywhere. Should a wildfire ever take hold in the park, I think it would be very difficult to control,” says Michel Landry. A retired helicopter pilot, Landry has fought wildfires across Canada and in Australia… And he points out that while the Rapattack Base is located near the Salmon Arm Airport, personnel are not always there. “A thorough fuel management (program) might be in order and a fuel removal plan should be looked at,” he says. Fire Chief Brad Shirley agrees but says the previous government’s Strategic Wildfire Protection Initiative to provide support to communities for fuel management projects omitted funding for municipal lands. But changes may be on the horizon. The Regional District of Nanaimo is closing a section of the Trans Canada Trail in the south of Nanaimo due to “high risk of fire,” effective immediately. The 21-kilometre section of trail, which encompasses the trailhead at Timberlands Road by Haslam Creek Suspension Bridge, to the trailhead at Harewood Mines Road at the boundary between the RDN and City of Nanaimo. A majority of the trail is on private forest land and “landowner Island Timberlands has advised that all company property in the mid-Island is being closed to recreational users due to increasing fire hazard,” the press release said. DENVER — The Trump administration on Thursday proposed ending automatic protections for threatened animal and plant species and limiting habitat safeguards that are meant to shield recovering species from harm. Administration officials said the new rules would advance conservation by simplifying and improving how the landmark Endangered Species Act is used. “These rules will be very protective,” said U.S. Interior Department Deputy Secretary David Bernhardt, adding that the changes also will reduce the “conflict and uncertainty” associated with many protected species. Such conflicts have been numerous in the decades since the act’s 1973 passage, ranging from disruptions to logging to protect spotted owls in the Pacific Northwest… The proposed changes include potential limits on the designation of “critical habitat” for imperiled plants and animals..
As the West’s fire seasons grow more intense, a team of Oregon State University researchers is looking for ways to keep blazes from spreading. They’re targeting the formation of embers, which can thwart fire lines by riding the wind for miles to start new fires. That’s what happened last September during the catastrophic Eagle Creek Fire, when embers jumped two miles across the Columbia River to Washington. The fire burned for three months, scorching 50,000 acres, before being contained. With funding from the federal government’s Joint Fire Science Program, David Blunck, an assistant professor of mechanical engineering, is leading a project to predict how embers form and spread. The team is testing variables such as temperature, wind speed, timber species and branch diameter. In the lab, they’ve used a small-scale wind tunnel to study ember formation in dowels made of different types of timber. As an ESF freshman, Alexa Denhoff did an on-campus interview with Plum Creek Timber as practice for future interviews. 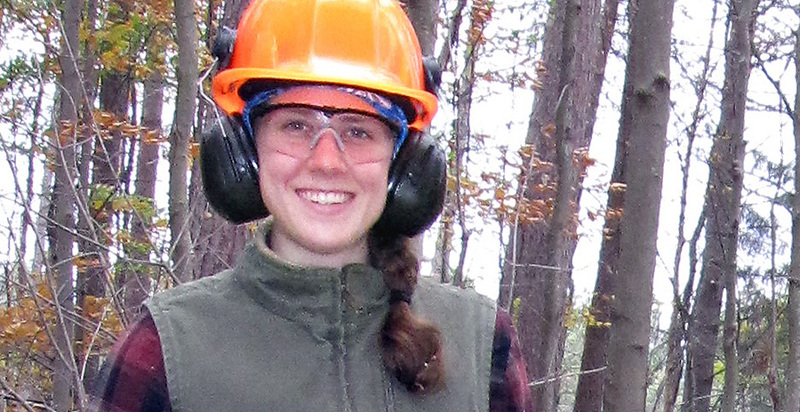 It went so well that she ended up with an internship at Plum Creek Timber Company in New Hampshire. …Denhoff realized forestry was the career she wanted instead of environmental chemistry which had initially drawn her to ESF. …Denhoff enhanced her education by joining the student chapter of the Society of American Foresters (SAF) as a freshman. …As a student district representative, Denoff served on the student executive committee and attended the national conference in Madison, Wisconsin, where she helped with the student workshops. State company Romsilva, which manages about half of Romania’s forests, and local timber producers dismissed the report presented by the Environmental Investigation Agency (EIA) on Tuesday, which claimed that local timber producers illegally have been harvesting wood from national parks and selling it to Austrian processor Holzindustrie Schweighoffer. According to EIA, Schweighofer’s log suppliers have transported over 35,000 cubic meters of timber from just two national parks from January 2017 to June 2018. The wood cut in some areas of the Calimani and Rodnei national parks does not come from illegal logging but from legal and authorized forestry works, Romsilva said in a press release, local Digi24 reported. A total of 23 firefighters from the Northwest Fire Centre were deployed to Ontario and Quebec last week to help with firefighting efforts in those provinces. Parts of eastern Canada have been dealing with an unusually brutal wildfire season this summer. The northeastern Ontario community of Temagami has been put on evacuation alert, while other residents around the region have been already been forced out of their homes after lighting-caused fires blew up faster than expected. Another 60 or so active fires were burning across Quebec last week. One initial attack crew – made up of three firefighters – was deployed on July 9 to Ontario while a unit crew – made up of 20 firefighters – was deployed on July 11 to Quebec. Evacuation orders and alerts have been issued in parts of British Columbia’s Okanagan Valley after a cluster of wildfires broke out following a fierce lightning storm that swept across the southern Interior. B.C. Wildfire Service spokesman Kevin Skrepnek said Thursday that a blaze burning four kilometres south of Peachland on the west side of Okanagan Lake was one of the most serious, but it was not the only active fire. “We’ve got a cluster of fires that is of concern right now in the south Okanagan corridor from Kelowna south,” he said in an interview. Multiple fires are burning in or near West Kelowna, Okanagan Mountain Provincial Park, Summerland, Naramata and Okanagan Falls. As the summer season continues in northwestern Ontario, officials from the Ontario Ministry of Natural Resources and Forestry are blaming lightning for the dozens of new fires reported in this region. “High temperatures and steady winds are raising the fire hazard across the region,” Fire Information Officer with the ministry, Chris Marchand told CBC News. 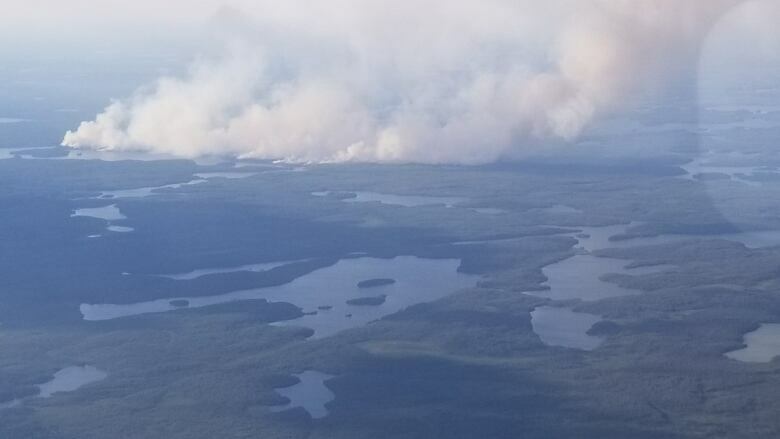 “Currently the hazard is high across most of the region with pockets of extreme hazard in the Red Lake district.” He said there are currently 82 active fires across the region in various stages of control, with 68 of them either under observation, being held or under control. The hot weather has not made the situation any better, he said, with two fires of note in Red Lake and Kenora. None of the wildfires burning in Southern Oregon have yet “blown up” or gotten out of hand. But the sheer number of blazes currently burning have impacted air quality and sparked evacuation warnings in four different areas as of Friday morning. The eight major wildfires and multi-fire complexes were ignited by lightning last weekend. They’re now burning across a wide area — from Crater Lake to the Siskiyou Mountains. Oregon Gov. Kate Brown declared a statewide wildfire emergency to provide more resources to fire teams, but firefighters have still been stretched thin. 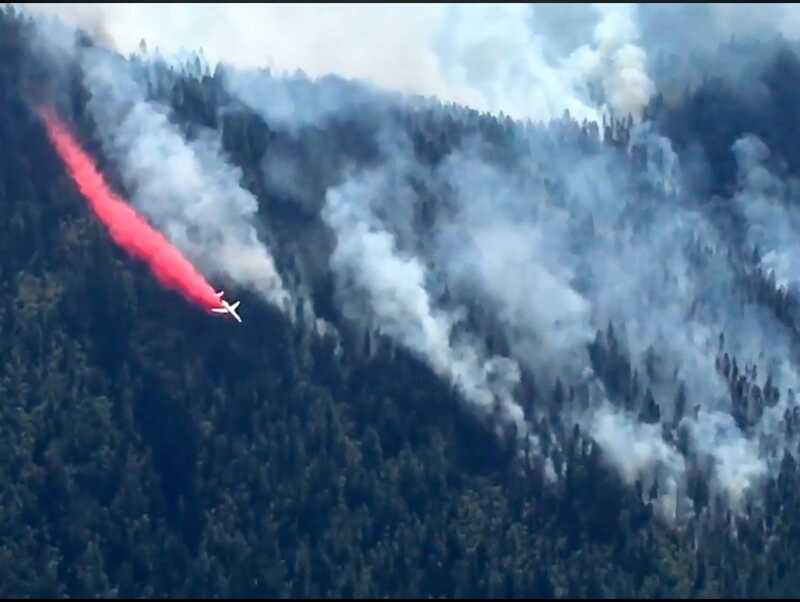 “We’ve been lucky that none of these fires have done the big blowup into several thousand acres,” said Joe Touchstone, public information officer for the Oregon Department of Forestry. “But the conditions are ripe for these fires to grow. We’ve got very hot temperatures, low humidity and wind. LAKEVIEW Ore.– Remember in the iconic “Back to the Future” films when Doc Brown placed garbage in the time machine’s engine to fuel it? From science-fiction to science-fact, a similar process will soon become reality fueling aircraft nationwide once the Red Rock Biofuels renewable energy plant is built. On Wednesday, members of Red Rock Biofuels, political dignitaries, corporate representatives and a large community contingent gathered on the outskirts of Lakeview for a groundbreaking ceremony for the $320 million renewable fuels facility. 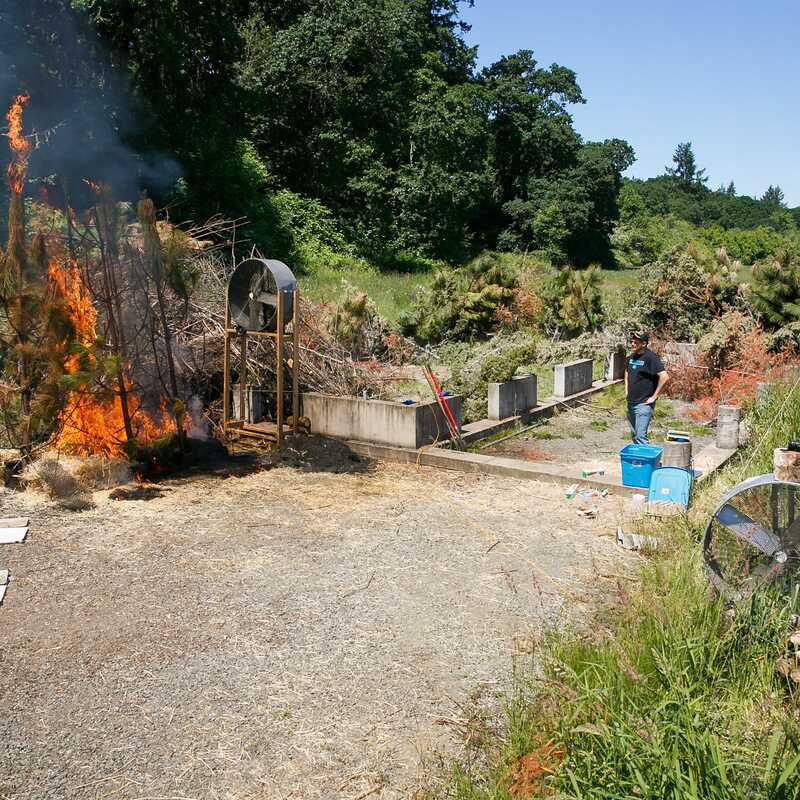 Taking woody biomass waste products such as pine needles, agriculture waste, sawdust and slash piles from forest thinning projects, the facility will convert materials that might otherwise fuel raging wildfires into jet fuel — around 15 million gallons worth each year. Paul Doscher writes in the July 12 Monitor that electricity generation in biomass plants provides urgently needed markets for wood of low economic value. He argues that caring forest landowners cannot afford to conduct “timber stand improvement” cuts unless there is a market for that low-value wood – a legacy of past forest mismanagement. …Doscher – former vice president at the Society for the Protection of N.H. Forests, a group now lobbying to influence the legislation in question – failed to mention several essential facts about mega-biomass: Biomass plants that generate only electricity are extremely inefficient. They waste roughly 75 percent of all wood burned. …Biomass plants currently emit more carbon per unit of energy produced than does coal. BAROUK CEDAR FOREST, LEBANON — Walking among the cedars on a mountain slope in Lebanon feels like visiting the territory of primeval beings. Some of the oldest trees have been here for more than 1,000 years, spreading their uniquely horizontal branches like outstretched arms and sending their roots deep into the craggy limestone. They flourish on the moisture and cool temperatures that make this ecosystem unusual in the Middle East, with mountaintops that snare the clouds floating in from the Mediterranean Sea and gleam with winter snow. But now, after centuries of human depredation, the cedars of Lebanon face perhaps their most dangerous threat: Climate change could wipe out most of the country’s remaining cedar forests by the end of the century. Environment Canada has issued an air quality advisory for many northern communities in the Kenora district. Residents in the affected areas are warned of high levels of air pollution from nearby forest fires. …Environment Canada says that the smoke is causing poor air quality and reduced visibility… They add that individuals may experience symptoms such as increased coughing, throat irritation, headaches or shortness of breath. Children, seniors, and those with cardiovascular or lung disease, such as asthma, are especially at risk. …“We want people, especially with existing cardiovascular or lung disease, to take it easy. Stay indoors if possible,” says Environment Canada Meteorologist Gerald Cheng. …Environment Canada adds that in general, wearing a mask is not the best way to protect your health during a smoke event. In fact, masks may lead to a false sense of security, which may encourage increased physical activity and time spent outdoors, meaning increased exposure to smoke. PORTLAND, Ore. – A tractor operator who was killed in a wildfire that scorched 70 square miles in little more than 24 hours in the Pacific Northwest appears to have died trying to restrain it, police said. The blaze east of Portland, Oregon, and near the city of The Dalles started Tuesday and spread into a rural farming area with vast wheat fields. Dozens of homes have been evacuated because of the conflagration about 80 miles east of Portland. Oregon Gov. Kate Brown declared a state of emergency Wednesday, marking the unofficial start to a Pacific Northwest Fire season that’s expected to be worse than normal. A team of University of Maine researchers has been awarded $1.17 million from the U.S. Department of Agriculture to develop and test land management practices to protect Maine forest workers from exposure to tick-borne diseases. The three-year project, “Developing adaptive forest management practices to mitigate impacts of climate change on human health,” is being led by Allison Gardner and Carly Sponarski. …Maine has experienced a fivefold increase in Lyme disease cases over the past decade, likely due to climate change and land use change, according to the researchers. The increase in cases, combined with the high percentage of nonindustrial private land ownership in southern Maine, they say, provides an urgent need and a unique socio-ecological context to investigate the effects of forest management on infectious disease transmission. Forest workers are at particularly high risk of contracting tick-borne illnesses due to their frequent exposure to ticks. The mother of a forestry worker killed in 2013 fears industry deaths are on the rise again and says the campaign to save lives has suffered since union leader Helen Kelly died two years ago. …The 19-year-old was one of ten forestry workers who died that year and his case was also one of the two successful prosecutions the Council of Trade Unions took against employers. The following year, the death toll dropped dramatically to just one at the height of the publicity over the industry’s poor safety record. …Forestry has the highest death rate of all industries. Four workers have been killed so far this year – the most recent just three days ago in Nelson. That compares with seven deaths for the whole of last year. Fiona Ewing from the Forestry Industry Safety Council said companies were doing more to keep protect staff. 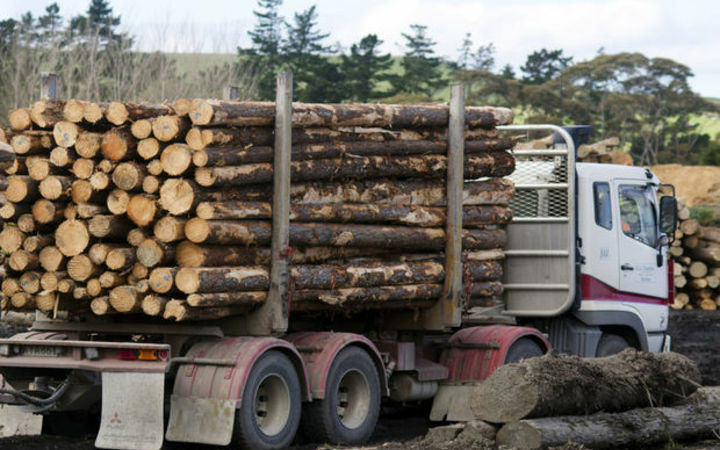 The forestry industry risks being caught in its own logjam over the safety of its workers. The state agency WorkSafe said cash crop trees like radiata pine might have to be omitted from steep hillsides, where cutting them down could be dangerous for the workers who did it. However, forest owners said some had a legal obligation to replant pine on steep slopes after felling a current crop. Others could not afford to leave their land bare. The debate began when a forest worker was killed earlier this week in a logging accident in hill country near Nelson. The 31-year-old’s death followed another near Bulls last week, and others in Northland and Marlborough earlier this year. WorkSafe, forest companies and trade unions have been working for years to try to prevent deaths like these.